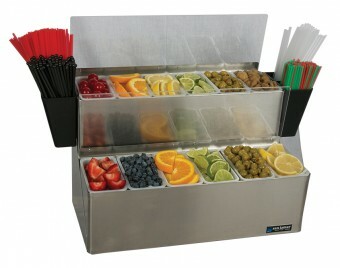 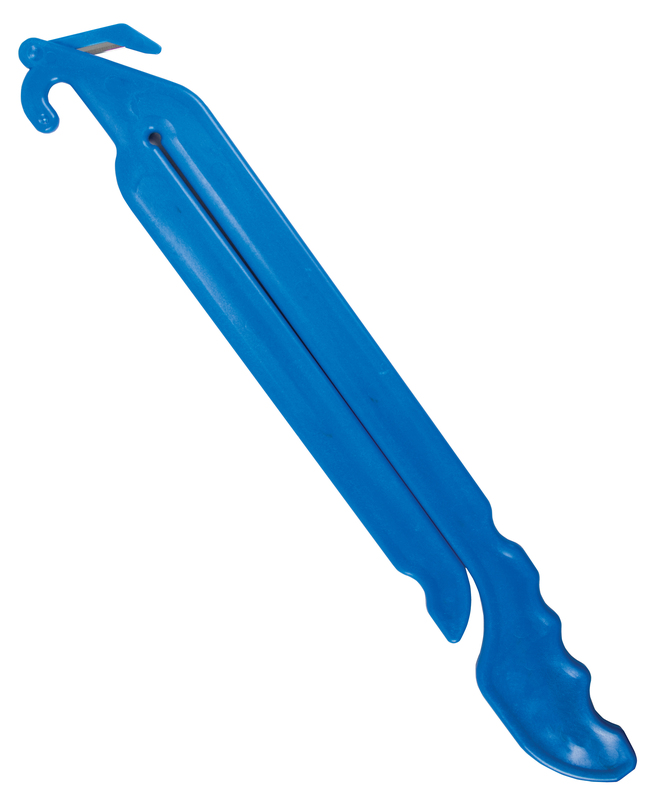 EZ–Chill™ Garnish Centers keep garnishes chilled for extended periods of time. 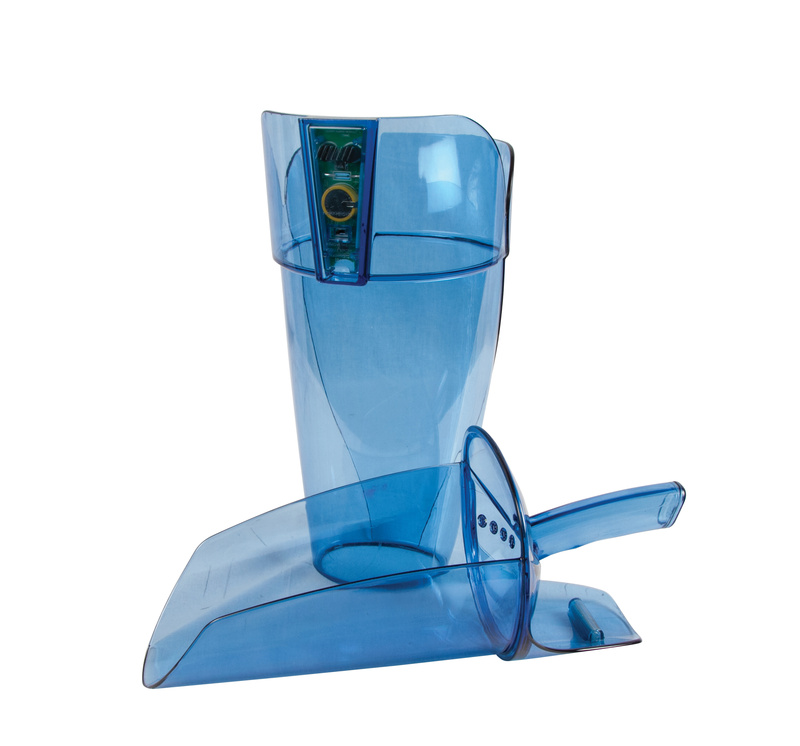 Designed for use with our refreezable EZ-Chill™ Ice Packs, these centers feature ice liners that also allow for use with ice. 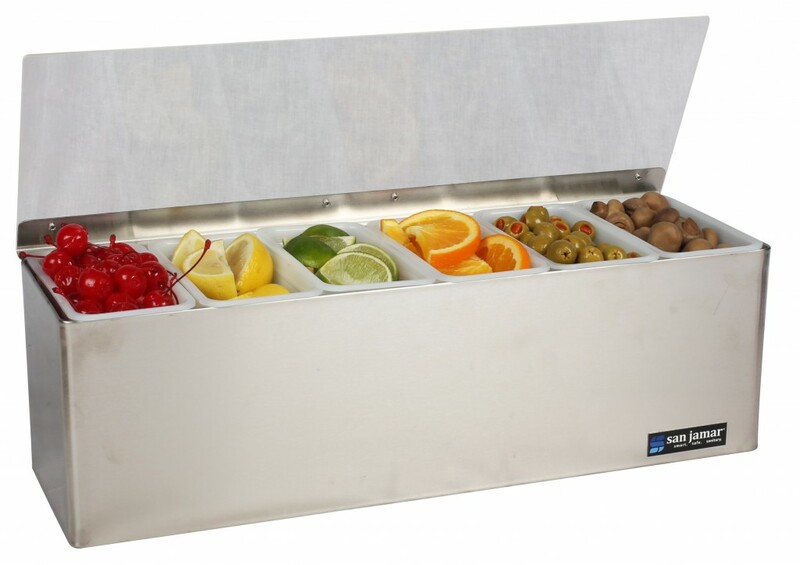 Full–size hinged lids will not rust and protect garnishes from spills and contaminants. 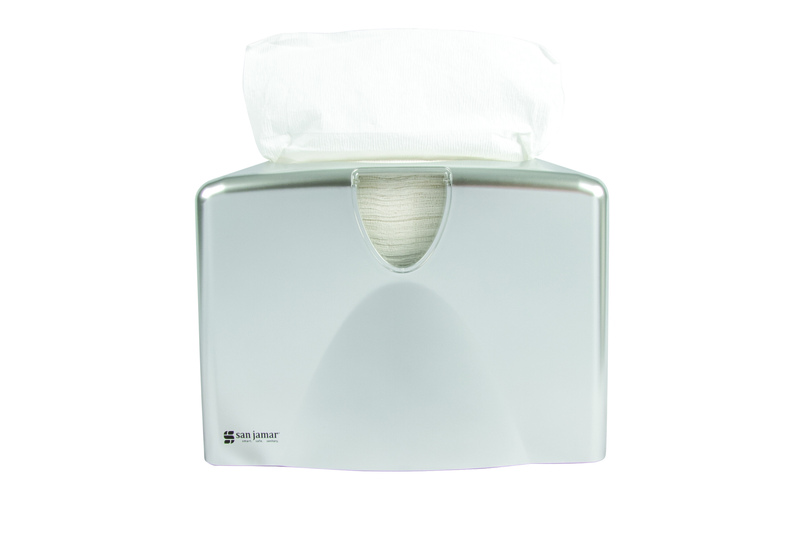 Durable stainless steel construction built to last. 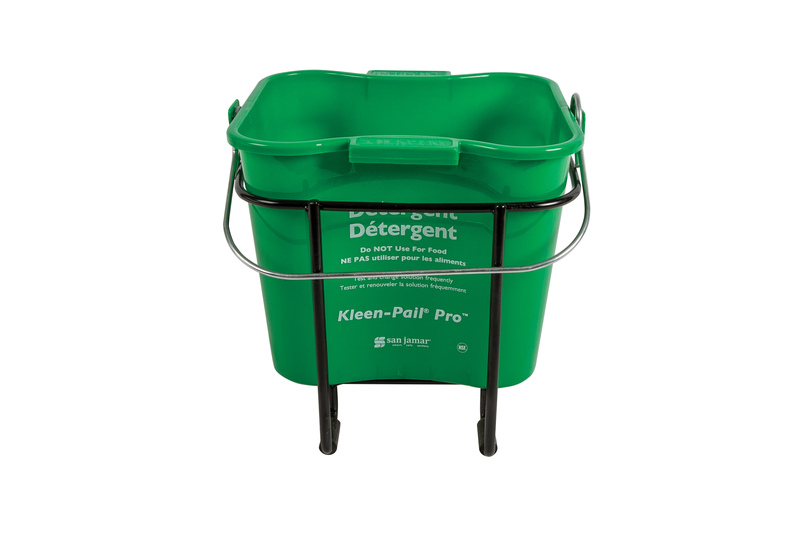 Interchangeable pint and quart trays allow you to easily change configuration as needed. 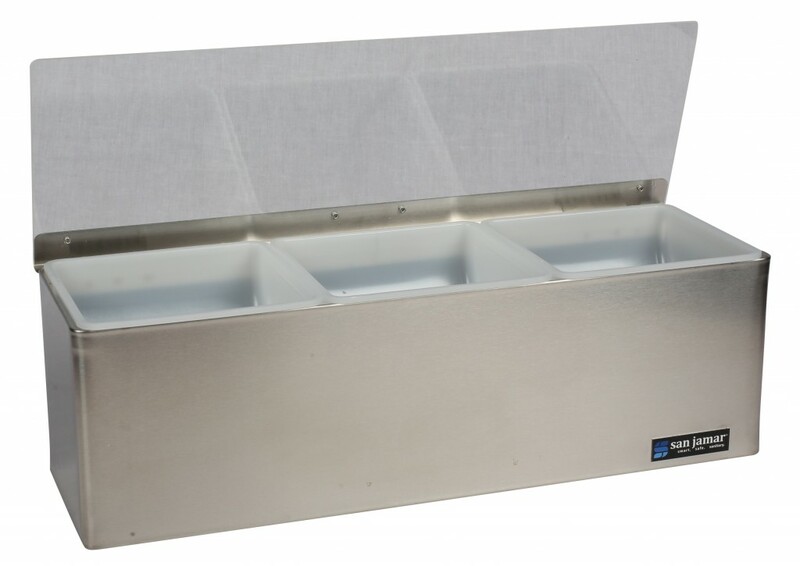 EZ-Chill™ Ultimate Garnish Center (B6766L) features two tiers (12 trays) to hold garnishes and comes complete with two side caddies to hold straws, stirrers and picks.